When parents hear about the possibilities available to their family through banking their baby’s cord blood, some assume that the costs associated with cord blood banking are beyond their reach. However, the truth is that cord blood banking costs are incredibly reasonable. Of course, the cost of banking your baby’s cord blood will vary upon who you choose to store your baby’s cord blood with and how you choose to store it. Affordable Cord Blood Banking – Family Banking. Family banking; banking your baby’s cord blood for the exclusive use of your baby and your baby’s family. This service comes at a price which is incredibly reasonable. While the price varies, cord blood banking in a family bank costs, at the time of writing, approximately £2000. The fee paid to family banks covers the cost of collection, processing and initial storage; 25 years is usually considered to be the initial storage term. Once your baby’s cord blood is collected by a reputable company you can relax, knowing it is there if your baby or another loved one ever needed it. Meanwhile the cord blood bank look after your sample, making sure it is preserved properly and all the equipment preserving your baby’s cord blood is working effectively; keeping your baby’s sample at the optimum standard. Cord blood stored in family banks is owned by the family and can be released to them for a range of treatments and clinical trials which simply are not available with cord blood samples from public banks. Many family banks in the UK want to make cord blood banking more accessible so offer a variety of ways in which to pay for the service. At £2000 for 25 years of initial storage, working out at £80 per year over the 25 year term, many parents would agree that this is a low price to pay for the peace of mind and security that family banking can bring. Affordable Cord Blood Banking – Public Banking. Public banking; giving away your baby’s cord blood to further research or treat members of the public in need of a stem cell transplant. Public banking is free of charge and is a wonderful way of ensuring your baby’s cord blood does not go to waste. 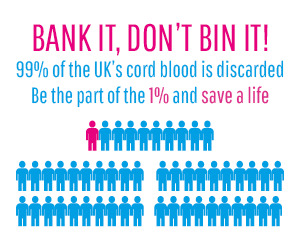 Cord blood donation is currently available in 13 UK hospitals, once donated to a public bank the family no longer have ownership of the sample. Public banking is the most affordable cord blood banking option, but does not have the range of uses, exclusivity or availability of family banking. Without a doubt, yes! Not only does the UK offer affordable cord blood banking to parents but we have a range of options available to enable parents to make the right decision for the long term health of their family, their community and their budget. Hi Caroline, In the UK cord blood banks generally offer a prepaid service which is approximately £2500 for 25 years of storage which equates to £100 per year. Obviously this varies from bank to bank but we aren’t aware of any UK cord blood banks offering annual storage costing £1000 per annum. 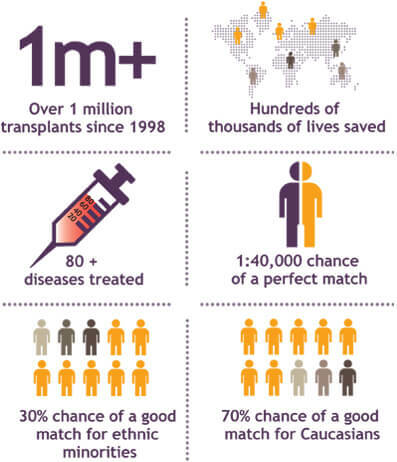 You can find more information about UK cord blood banks here. Hope this helps.